With demand for advanced scaffolding solutions on the rise, scaffolding manufacturers in India are introducing newer products, backed by required product support for high-rise construction as well. Newer solutions are also being offered to meet tighter project completion schedules, dearth of skilled manpower, safety requirements and necessity of saving construction and maintenance costs. To make the products go through enhanced repetitive usage and also suit the design requirements of the contractors based on the construction requirements and site conditions, producers are further strengthening their manufacturing, marketing and design support capabilities. Layher India, which provides after sales service and training to end user at site or in warehouses has supplied its scaffolding to cement industries, oil & gas, construction industries among others. Indian access work platform rental company, mobile scaffolding solutions manufacturer, and distributor of aerial work platforms & material handling equipment, Mtandt, has entered an exclusive distribution tie-up with Swedish company Monzon for promoting its “No limit” scaffolding in the Indian market. 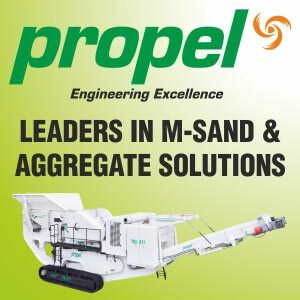 The product was launched during Bauma Conexpo India 2016. “The CE certified scaffolding based on ring lock system can fit into infinite combinations, making it convenient and time saving to install. Being tool less, the scaffolding is easy to assemble and disassemble. The aluminum product will be immune to corrosion, thereby delivering total life cycle costs to the price-sensitive Indian customers. We may look into the possibility of manufacture No Limit scaffolding in future at our manufacturing facility in Ghaziabad,” says Mr. Rakesh Modi, MD, Mtandt Group. Mtandt manufactures low level step podiums, Extra High Reach Mobile Scaffolding, aviation docking systems, cantilever design, and scaffolding with stairway, at its facility in Ghaziabad in north India. There is growing demand for scaffolding solutions with more ruggedness and anti-corrosion qualities from contractors involved in high-rise, infrastructure and core industrial construction and maintenance projects, such as the major Indian construction firms L&T, Simplex among others. Demand for rugged solutions, is more due to increased variation in live loads as the work takes place in shifts. “To meet the demand, we source hot rolled coils (the raw material for our scaffolding solutions) from Indian steel producers JSW and Tata Steel. We roll out high precision tubes based on the requirements of size and thickness. We have put up state of the art automated welding plant for carrying out seamless welding at our five plants in Mumbai. Our quality welding certifications include EN 1090 from SLV Germany, Welding Standards as per AWS D1/D1.1M, and Techlok System tested as per EN 12810/12811 at Oxford University, UK. We have got certifications on inward material testing, coils identified with heat, periodic calibration of gauges, testing of components and systems,” says Mr. Mudit Raniwala, Senior Vice President, Technocraft Industries India Limited, Products & Applications. Technocraft exports its scaffolding and formwork to Australia, Europe, Middle East, Africa and North & South America. It has recently launched its new Mach range of scaffolding and formwork products. “The new range of solutions is manufactured with superlative precision and finish, and has been tested and proven to be truly international in quality and function. The scaffolding can be assembled and disassembled with ease, speed and total safety. It is easier to adapt, faster to use and less laborious. What normally takes fifty people five days to complete, Mach can do in two days with ten people, enabling the contractor to save on labor, time and costs. Such products are available with only high-end European brands, and we are making them in India at reasonable costs,” informs Mr. Raniwala. Technocraft has recently finalized an order for a 30,000 sqm slab decking system, (one of the biggest orders in India), from a local contracting company in south India. The company plans to set up an institute for training construction site workers on similar lines of the existing curriculum with NTTF for training students on scaffolding and tool development. “Based on growing safety concerns and rigidity of the scaffolding structures in areas with high wind pressure, contractors are looking for newer solutions. Made on German design and manufacturing PERI has introduced PERIUP Rosett gravity lock scaffolding systems for high-rise and infra market in India. The modular scaffolding require limited use of hammer due to gravity lock technique, resultantly causing more productive and faster scaffolding erection. For high-rise and Infra projects, PERI has introduced safest peripheral edge protection and Core System in Indian market. Peri Rosett scaffolding is being used in Kolkata 42, which is 64 storey tallest residential tower in East India. It is also being used by Siemens for construction of Yamuna Vihar metro rail sub station in Delhi and T.G. deck for Megnaghat Power station in Bangladesh by Doosan Skoda Group. Scaffolding system was been supplied by PERI for DMRC to Siemens Noida and Yamuna Vihar Metro railway sub station. Scope include shoring height range from 1.9m to 8.8m for different slab levels with PERIUP Shoring system. Also PERIUP is used for external facade of building and was erected to 13m height provided with safe access stair tower. Megnaghat Power Project is located in southern part of Dhaka on banks of river Meghna. Doosan Skoda Group Joined hands with PERI to provide reliable formwork solution as the challenge was to construct heavy beams at a depth of upto 4.2m thick at 16m height from ground without disturbing the live running channels and pipes. PERIUP shoring system was been used along with Vario wall formwork. PERI India has executed over 300 projects all over Indian subcontinent and is celebrating its 10th anniversary this year. Mr. Raj lakhani is leading PERI India as Managing Director since last 10 years. “For producing tubes with appropriate quality, we source steel from primary producers, categorize them for the required scaffolding solutions from the contractors,” says Mr. Mohammad Yusuf, Director Technical, EMD India, a scaffolding manufacturing company. EMD has bagged a major order from a south India-based contractor involved in a high-rise project to supply ring lock and cup lock scaffolding solutions. EMD India owns a fully-owned subsidiary, EMD Project India Pvt. Ltd. which provides erection and dismantling support services, safety checks, maintenance and training support for scaffolding. EMD has supplied its scaffolding to NTPC, Bharat Forge, Ultra Tech Cement and Tata Steel for construction and maintenance of their plants. While there is a requirement for scaffolding with enhanced longevity, demand is being driven by commercial benefits as well. “There is increased preference for aluminum scaffolding in India among all sections of contractors. This is because the products are lighter and anti-corrosive as compared to MS steel. Being lighter, the scaffolding sections are easier and faster to handle and stock. Aluminum scaffolding can also be retrofitted for a number of operations. Another vital reason for its preference is that it generates high scrap value for the contractors,” says Mr. Vipun Rai, GM-Marketing, BSL Scaffolding Limited. Noida based BSL Scaffolding produces MS steel and aluminum scaffolding. It has supplied its products to NTPC, Bharat Heavy Electricals, National Aluminum Corporation etc. for maintenance of their plants. It is also a major exporter of scaffoldings. Contractors involved in general and industrial infrastructure construction and maintenance in India are also looking for design support from scaffolding producers and service providers. The need for design support is mainly due to growing safety concerns for projects where scaffolding solutions are needed to bear live and incidental loads of the concrete reinforced structures. There is a shortage of skilled scaffolding service engineers in India to assemble the base plate of the scaffolding platforms, tow guards, guard rails, anchorage points and also in preparing easy access and exit points, hoisting of concrete buckets and hoists based on the exact requirements of buyers. Safety parameters based on wind pressure, earthquake resistance, rain and cyclone and soil bearing capacity for high-rise construction and those taking place in coastal areas, are also bringing emphasis on the importance of design. While private sector clients undertake the design scrutiny with their own in-house team and also by the contractors, norms are stricter for approving the design in Indian government infrastructure projects, where the project owners and developers go through their own and third party consultation.